This print is from one of my first paintings for the Sante Fe gallery. Very southwest!The garlic braid left a lingering aroma in the studio for a bit longer than needed. 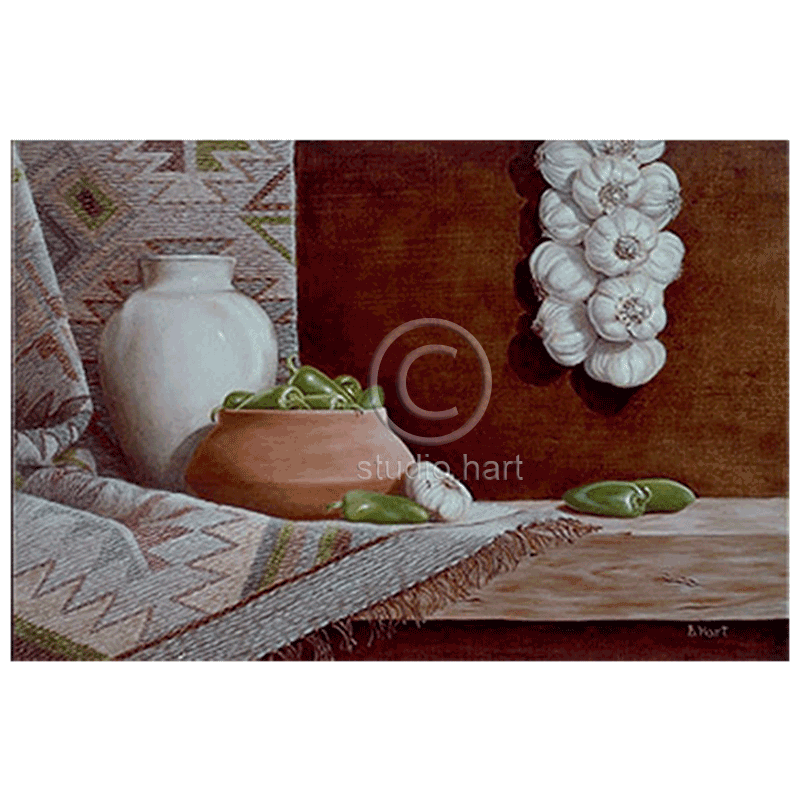 The painting features a handwoven tapestry and clay pot, both from Peru and made by artisans I worked with. Size: Image 12×17″. Paper size 15×20″.